Thank you Basic Invite for sponsoring this post. All opinions remain my own. 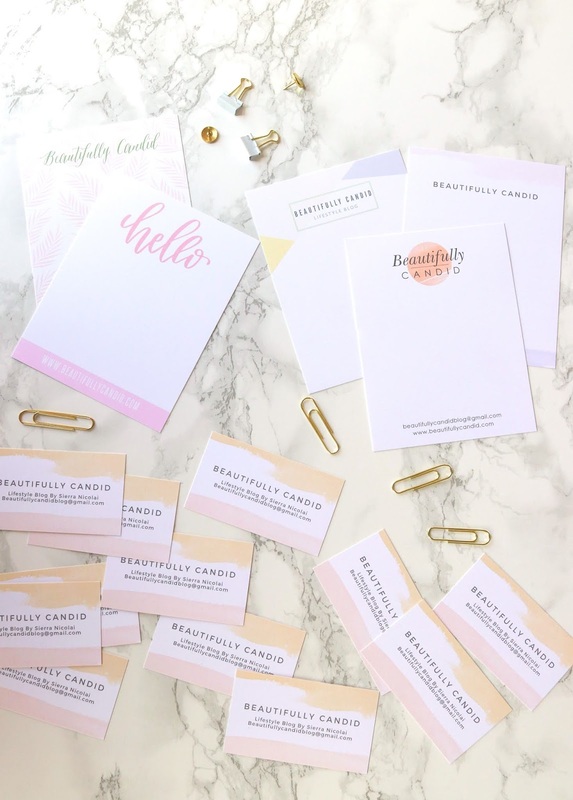 Something I've been wanting to look into for awhile now has been custom stationery for my blog and also business cards. I've always loved fun stationery and feel more inclined to want to write things down on paper that's pretty and grabs my attention. That might sound silly, but it's something that works for me. With all of the craziness life has been throwing us lately, if I don't write something down I'm more than likely going to forget about it. I also enjoy making lists and crossing things off when I accomplish them, or breaking them down into priorities and figuring out what to tackle first. Something else I have really enjoyed doing is sending thank you notes. I know nowadays it's so easy to just shoot off a quick email as a thank you (which I still do from time to time), but even in my office, when someone sends me a thank you note, the first thing I do is find a place for it on my corkboard and that person usually sticks out in my mind. Basic Invite makes it very easy for you to choose from their designs but also to add your own customization to make it even more personal. 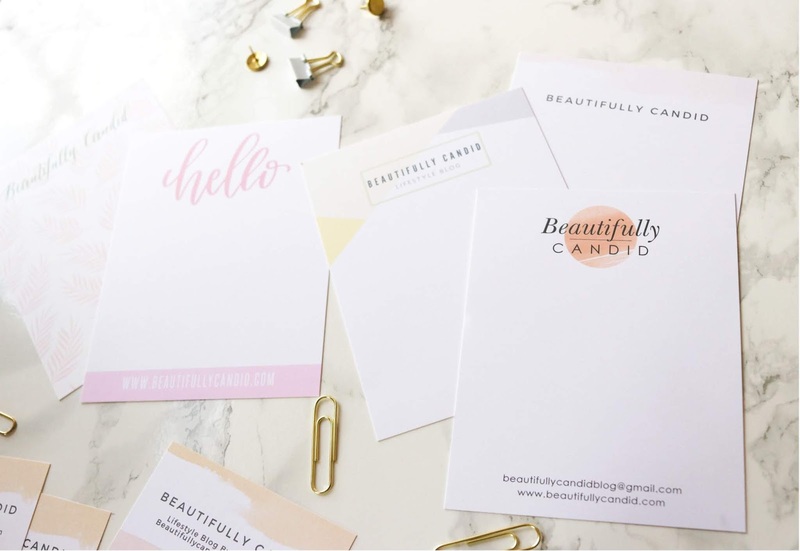 They have so many options available, like almost unlimited color resources, different colored envelops, address capturing services, and foil designs. There's something for everyone to make their selections stand out and keep them unique. I think out of all of the designs I went with, this design was my favorite. It's gives a clear indication of my blog and also has my website and contact information directly at the bottom. This comes in very handy when sending a note to a company or perspective opportunities. I also had fun playing around with the colors, paper type, and corner options. 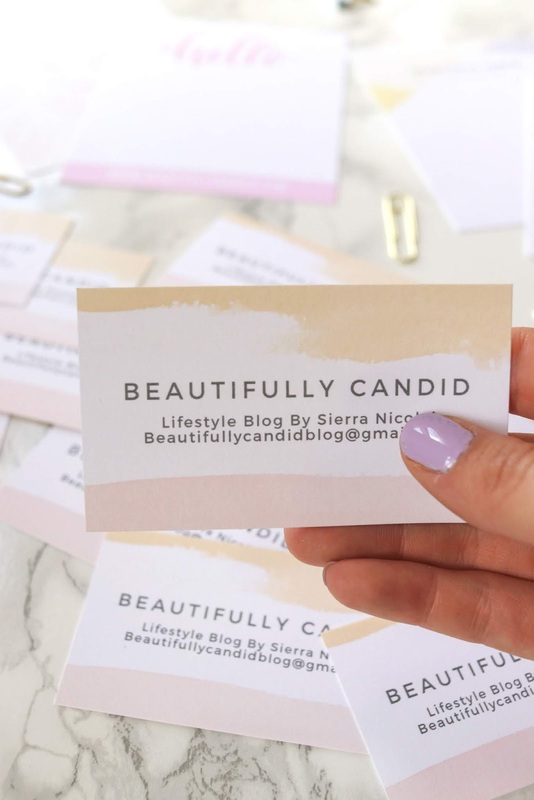 I attended a few blogging and network events recently and after coming home I realized I would have loved to have business cards with me. When you're meeting so many different people you can't expect them to remember your name let alone your blog or email address. 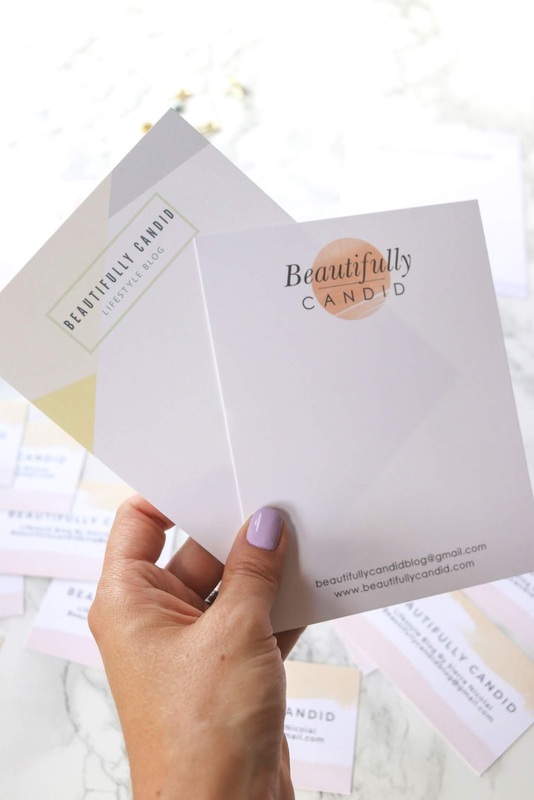 I really love how these luxe business cards came out and how you also had the option to customize them, add your logo, or keep them as simple as you would like. I'm looking forward to handing these out in the future. 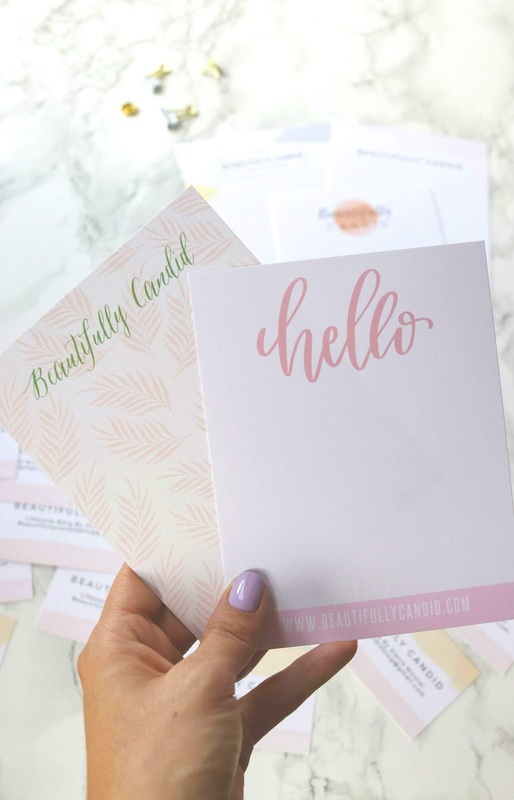 Another resource that Basic Invite is great for is, well, invitations. I was oohing and aahing over their adorable safari baby shower invitations and it brought me back to reminiscing about A's baby shower where we also had a gender reveal for everyone. It's hard to believe that this weekend will be five years since we celebrated that special day. Time really does fly right on by. I couldn't help myself and of course had to look through their baby announcements to get an idea and some options in mind for when baby boy comes. It's hard to believe that he will also be here before we know it. Basic Invite is currently offering 15% off when you use code 15FF51. Happy shopping!